This tombstone is for Harry Marskey(?) who died 6 February 1887. 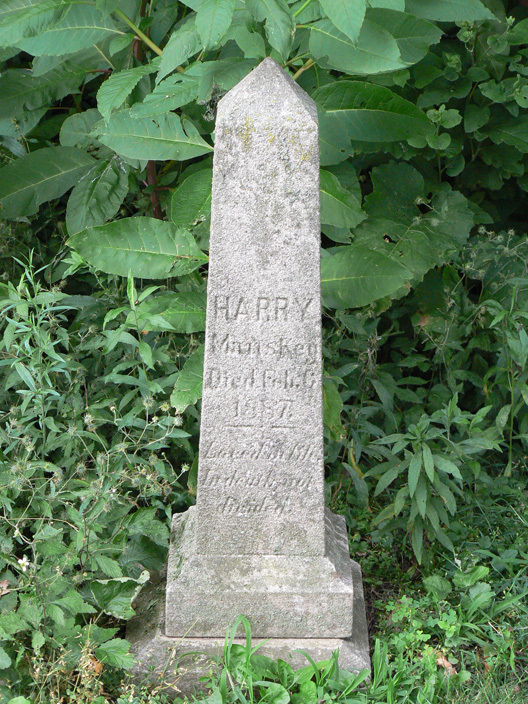 Harry is buried in St. Joseph’s Cemetery in Bloomington. What a beautiful spot for a tombstone!